A day after recorded 11 runs, the Erie SeaWolves (1-1) were unable to muster a run in the first nine innings, eventually falling 3-2 in 11 innings to the Trenton Thunder (1-1) at UPMC Park. Reliever Trent Szkutnik took the loss after allowing a two-run home run to Jorge Saez, which proved to be the difference in the top of the 11th. However, until extra's the SeaWolves staff was stellar and led by Tiger's number 10 overall prospect Alex Faedo. The 23-year old right-hander shut out Trenton for the first six frames, allowing just two hits while striking out seven and walking none. 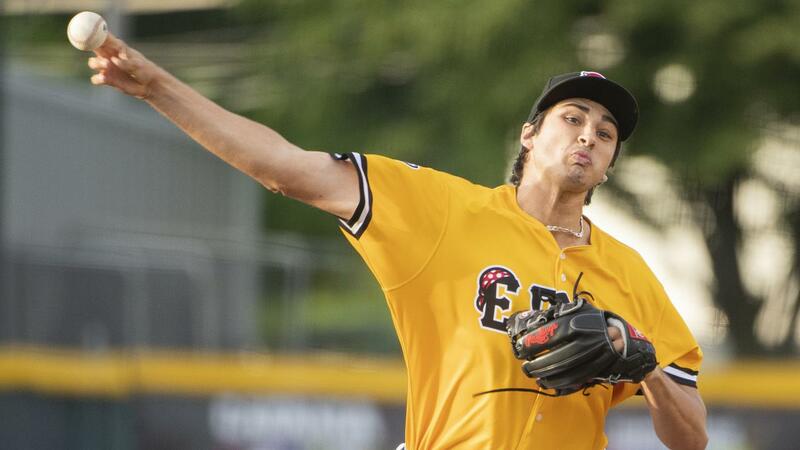 Trenton's pitching was just as lights out, allowing two unearned runs over 11 innings and striking out a combined 15 Erie batters. Daniel Alvarez received his first win of 2019, pitching the two extra-innings and setting down three via strikeouts. Alvarez did allow the two Erie runs, as Troy Montgomery pinch-ran at second base to begin the 10th inning, a part of Minor League Baseball's extra-inning rule introduced at the start of 2018. With one out, Jake Rogers ripped a single to left, his first hit of the season, to bring home Montgomery and tie the game at one. Trenton struck first in the top of the inning on a Rashad Crawford two-out RBI single. Erie's final run came from Sergio Alcantara in the 11th as a Derek Hill fly ball moved him to third and Isaac Paredes hit a sacrifice fly to plate Alcantara. Paredes now how five RBI through his first two games of the season. In the rubber match tomorrow afternoon, Erie will send RHP Logan Shore (0-0, 0.00) to the mound against RHP Albert Abreu (0-0, 0.00). First pitch is slated for 1:35 p.m. ET and can be heard on Fox Sports Radio 1330 AM, SeaWolves.com, or seen on MiLB.TV. Sunday is the first Giant Eagle/STAR 104 SeaWolves Kids Crew Day where all kids ages 12 and younger receive FREE admission. After the game, all fans can play catch in left field. Erie Federal Credit Union members can use their Platinum MasterCard, debit card, or show their member ID to buy a regularly priced Sunday ticket and receive a voucher for a free Smith's hot dog and fountain drink with each ticket purchased. Must be presented at time of purchase. Limit 4 per member.